I love using vintage film cameras for my photography because you can get some great looks straight out of the camera which aren't possible with the clean "perfect" image from digital cameras. 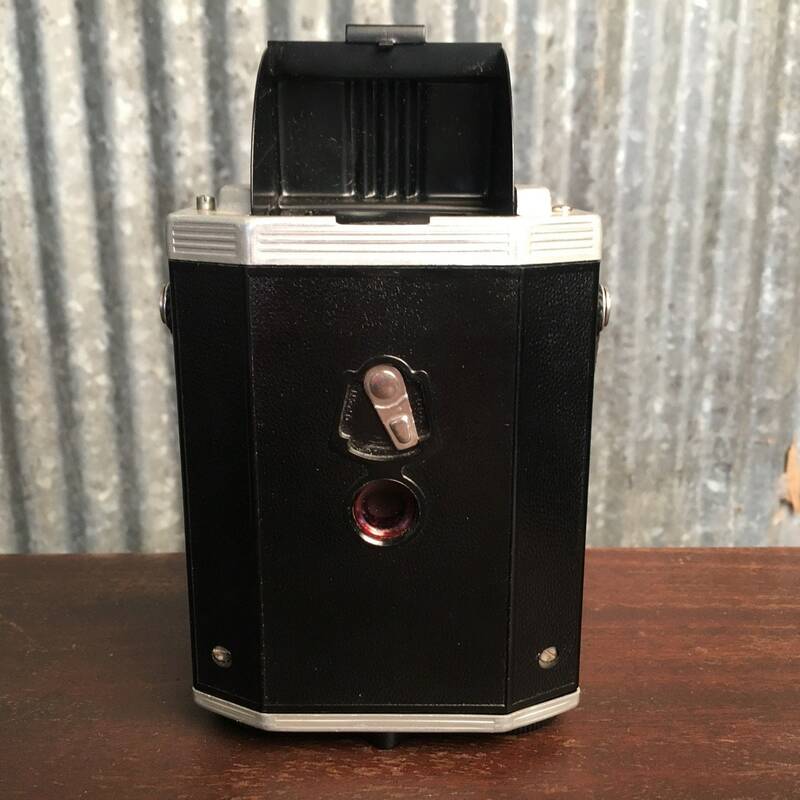 This vintage Kodak Brownie Reflex Synchro is a little beauty! 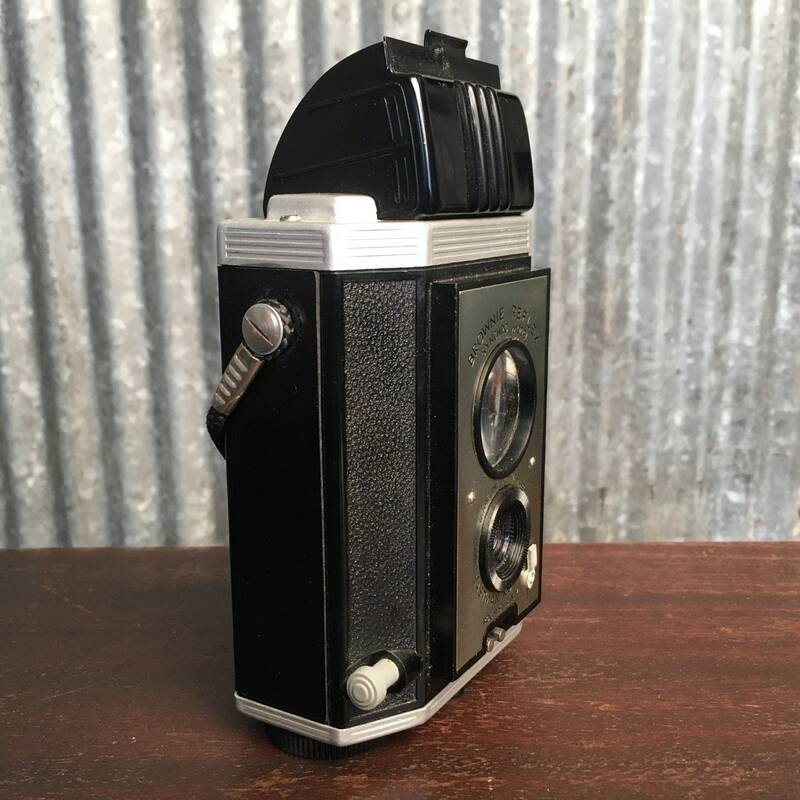 It has a waist-level finder which makes it great for street photography (since most people won't know you are taking a photo), but is a great format for any kind of photography. There is a tripod mount on the bottom of the camera, and there is a Bulb setting so you can take longer exposures if you have the camera on a tripod. The camera also has a two pin flash synch. 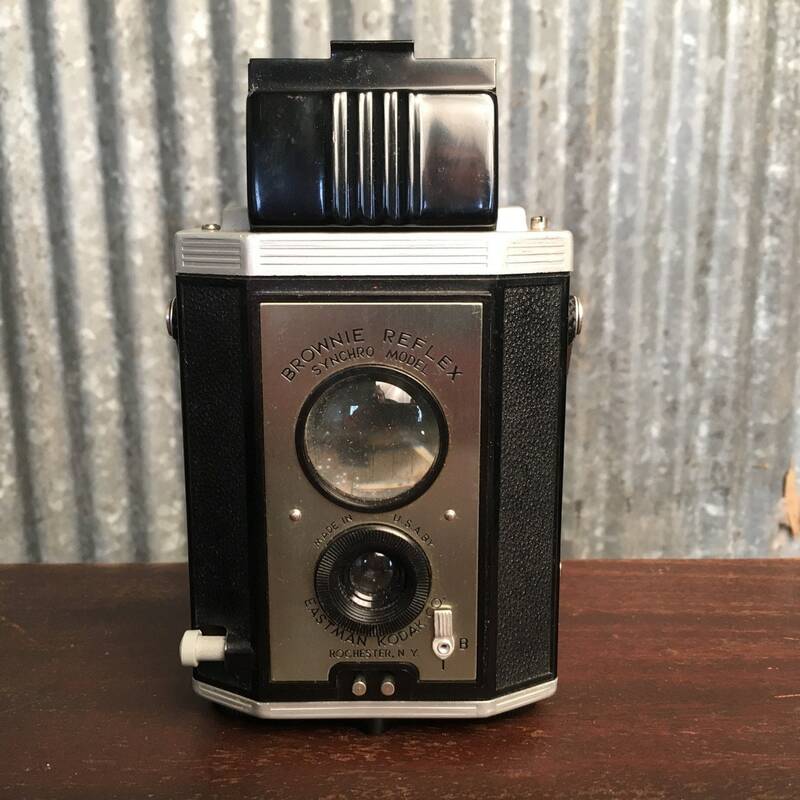 This camera appears to be in really nice vintage condition. The shutter works, as does the bulb setting. 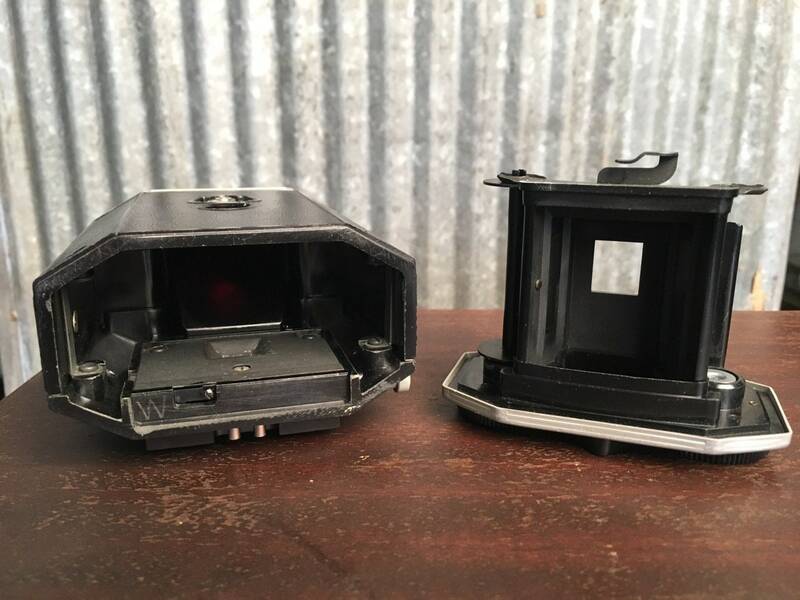 The viewfinder mirror does have spotting on it, but that doesn't effect the image. I do see one spot on the lens which may or may not effect the image... or maybe it will add to the image! The lens is a fixed lens, Meniscus type, with a focus range from 5 feet to infinity. 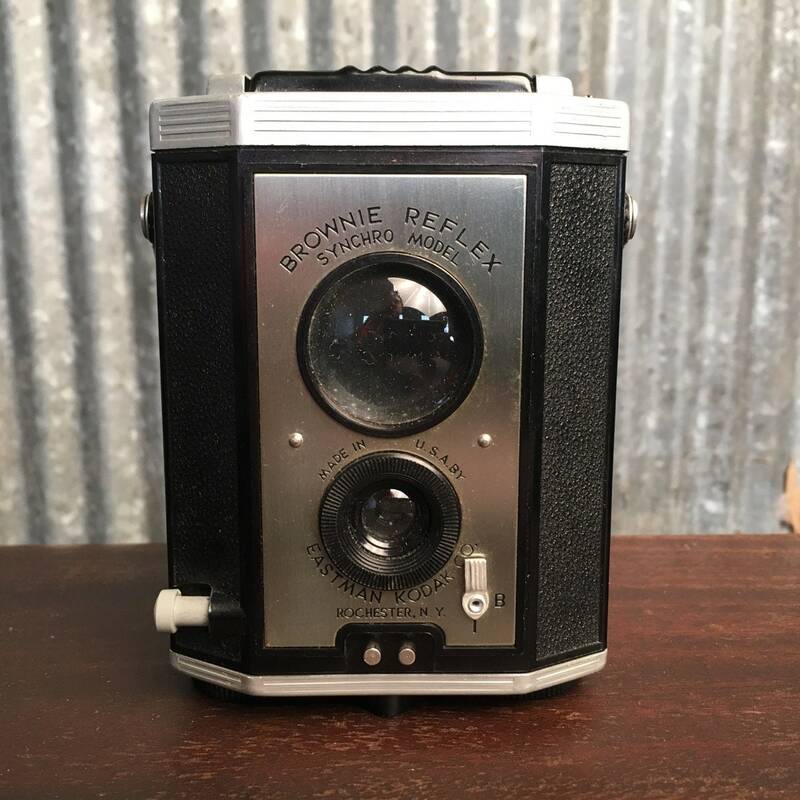 The fixed shutter speed is 1/30, or with the Bulb setting you can time it as long as you need.